Computer imaging and computer-assisted navigation were first explored in neurosurgery in the wake of improved precision and accuracy, leading to better outcomes. Later, its application in orthopedic surgery was recognized because of one main reason – the bony structure of the area being operated and its anatomical relationship remains stable and unchanged for the entire duration of imaging and surgical intervention. Computer imaging was once used just during the surgery. However, its role and use before the knee surgery cannot be underestimated. The success of any knee surgery depends on how well the surgeon has prepared a treatment plan, which is done after the proper and accurate information has been gathered about the damaged joint. Patients who are suspected to be the right candidates for knee replacement are first required to undergo a series of computer imaging tests conducted by an orthopedic specialist. There are many diagnostic tools available, including computed tomography (CT) scan, X-ray, and magnetic resonance imaging (MRI) scan to examine the knee and analyze the severity of damage to figure out whether a knee replacement is required or not. While an X-ray can help identify problems with the knee, a computer imaging test is almost always required to assess the extent of damage to the ligaments, cartilages, and soft tissues surrounding the knee. Imaging tools such as CT and MRI scan show the extent of damage in detail in cross-sections. Osteoarthritis of the knee is one of the most common reasons why patients are needed to undergo knee replacement surgery. It causes severe pain in the knee because of cartilage loss and damage, thus affecting the mobility and day-to-day life of the sufferer. Apart from cartilage, ligaments, and meniscus damage, it may induce sclerosis and cyst formation as well. The extent of damage done by osteoarthritis is analyzed before the surgery with the help of computer imaging. The detailed test results help the surgeons select the best treatment approach for the patient that will produce the maximum benefit. Once the problem areas have been identified, and the extent of damage is evident, computer imaging can be used to create customized patient instrumentation (CPI) and customized knee implants. This is done to improve the alignment, placement, and precision of the technique. During this phase, the findings from the pre-surgery imaging studies such as X-rays, CT scan, and MRI scan are collated and manipulated using software to generate 3D models of the damaged knee joint and its alignment with the leg. The digital recreation of the injured knee joint is then used to create customized pieces that fit into the identified places to complete the anatomy of the knee. This information is sometimes used to create customized implants that will be used to replace the damaged knee components. Computer-assisted surgery (CAS) has long been used to position and place implants during knee replacement surgery. 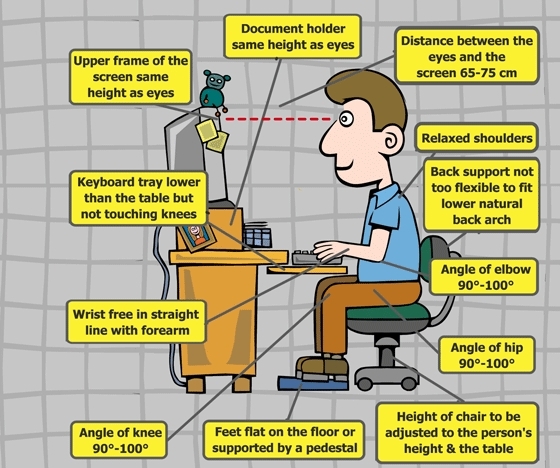 Computer imaging and assistance during knee replacement helps the surgeons avoid and prevent mistakes related to misalignment and malpositioning of the prosthesis. Limb alignment and tissue balancing are two significant aspects that dictate the success of any knee replacement implant. Misalignment of the implant may decrease its life and increase the need for revision surgery. It may result in loosening and abnormal wear and tear, and this is the reason why surgeons need to pay keen attention to how the implant is aligned and placed during the surgery. Computer imaging, thus, plays the role of a hero here. The different components of the computer-assisted navigations used during the surgery – the platform, tracking system, and active marker – make it possible to correctly align the implant during the surgery. There are different types of computer-assisted navigations, based on the kind of referencing method (kinematic or bone morphing) that it uses to locate the appropriate locations. CT-based, fluoroscopy based, and imageless systems are the three types of navigations used during the surgery. Out of these three, image-free navigation is the most common technique. Using this navigation, the surgeon obtains various landmarks from different knee surface points to determine the joint centers. The database that it possesses contains a vast number of CT scans from patients. The navigation system database morphs a model of the two bones – femur and tibia – that is best suitable for the registered surface points. Does it make a difference at all? Computer imaging has, indeed, revolutionized the way how knee replacement is conducted. But this is not the only advantage. CAS takes more time as compared to conventional surgery. But it assures minimal risk of complications as compared to the latter. 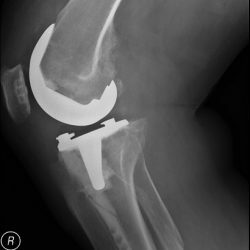 Additionally, knee arthroplasty conducted using traditional instrumentation may get complicated in case of extra-articular deformities. In such cases, computer navigation proves to be a boon. As with any medical technology, there are certain things about computer imaging in knee replacement that are still questionable. First of all, the cost of customized implants is far higher than simple implants used during traditional knee replacement surgery. Additionally, the cost of computer-assisted robotic knee replacement surgery or simple surgery is far higher than traditional open knee surgery single-handedly managed by the surgeon. Moreover, computerized navigation is not a full proof method. Its success largely depends on how skilled or experienced the surgeon is. Also, the surgeon conducting the surgery must be aware of the default settings and assumptions that are built into the computer system. Surgeons must understand that they cannot merely rely on the navigation systems to identify things that they cannot identify or point out.